Crab Stuffed Mushrooms are rich, cheesy, and insanely addictive. You’ll want to eat the filling all by itself but it’s even BETTER when it’s hot and bubbly! Scroll down for an easy video tutorial. I eat Crab Stuffed Mushroom filling the way other people eat raw cookie dough: Cold, un-baked, and so-good-I-can’t-stop addictive. And once it’s baked to golden, bubbly perfection in a mushroom cap? It’s game over for this girl. 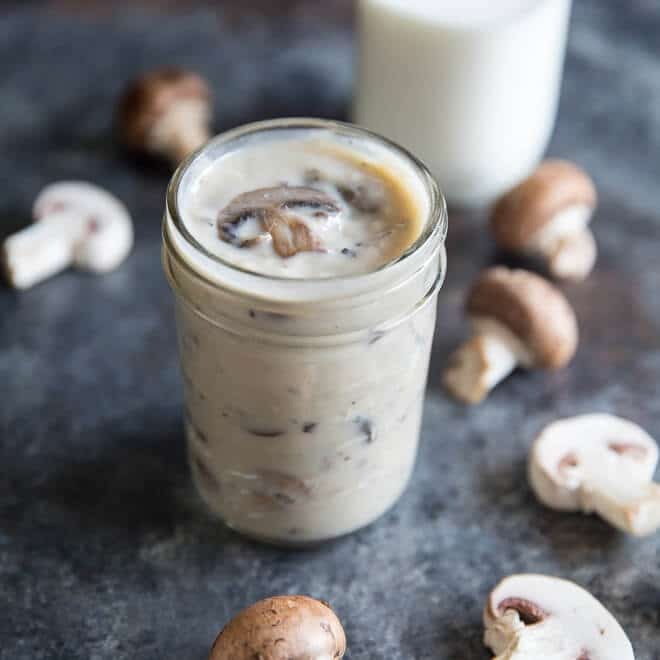 True mushroom lovers, prepare to swoon. Is it OK to wash mushrooms? Yes! I don’t recommend submerging them in water for an extended period of time, but a quick rinse and a spin in a salad spinner is a great, America’s-Test-Kitchen-approved way to clean mushrooms. You can also wipe them down with a clean, damp kitchen towel. 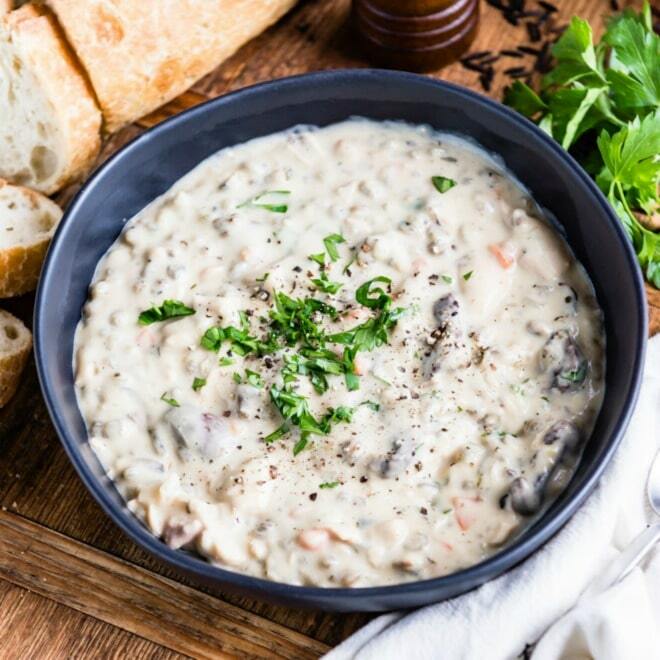 These mushrooms are filled with a delicious combination of cream cheese, sour cream, spices, cheese, and crab meat! Imitation crab meat is fine. It still tastes amazing. What Cheese is Best for Stuffed Mushrooms? For most fillings, I like to start with cream cheese. For additional stuffing or topping, choose a nice melting cheese such as mozzarella or Monterey Jack. Or, choose something with a nice flavor such as Parmesan. No bad choices! How do you make stuffed mushrooms ahead? 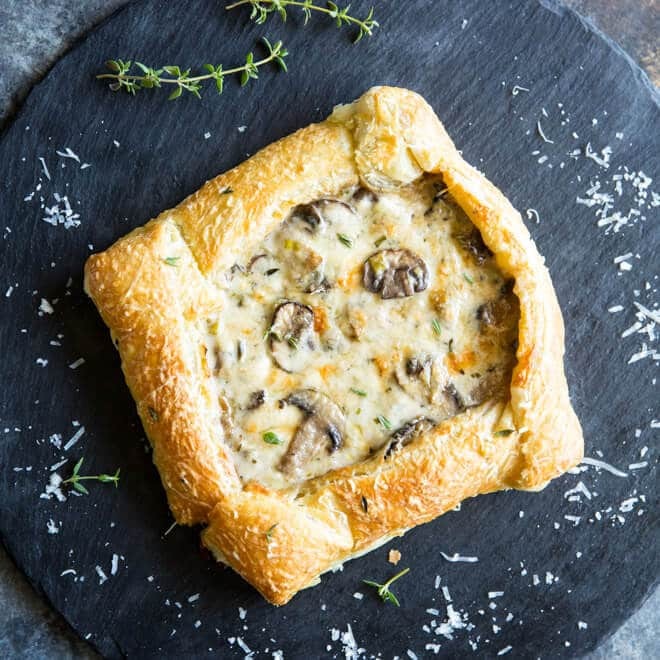 The filling can be made in advance and refrigerated until you are ready to stuff the mushrooms. And, you may have some filling leftover. It is delicious on crackers or chunks of bread as a dip. 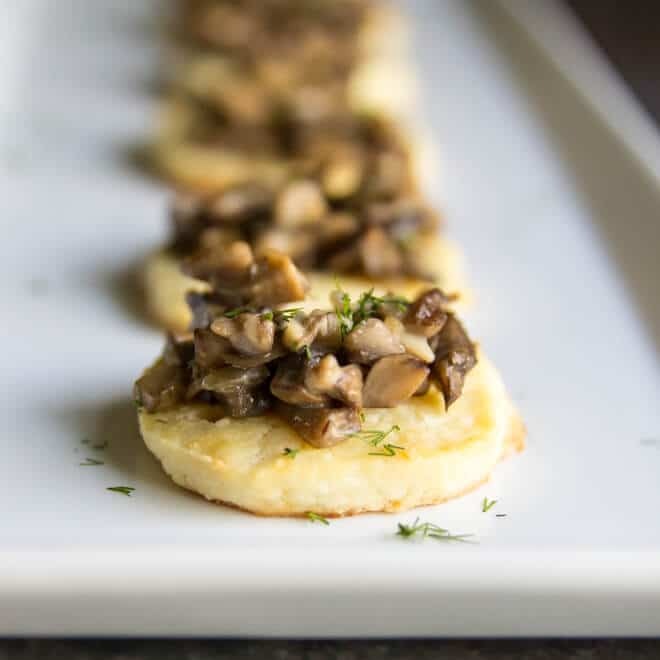 I like to use baby portobello mushrooms, but white button mushrooms are great too. Either way, I love them to the moon and back! 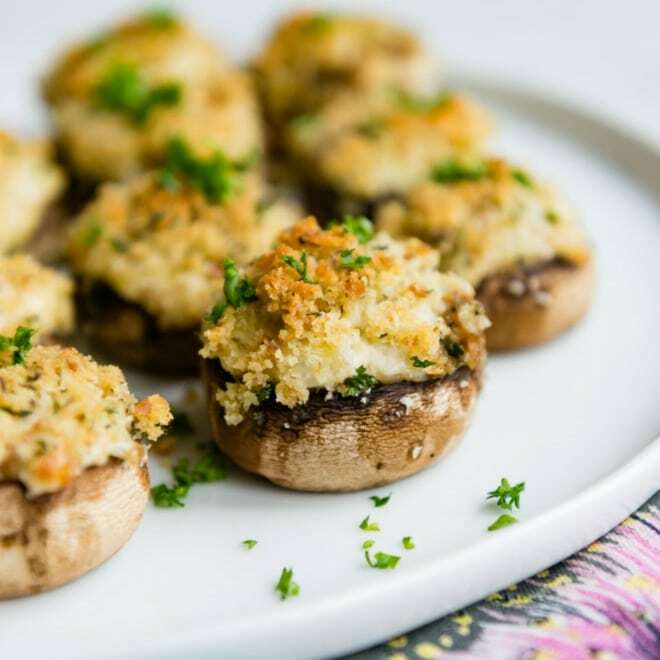 Save this Crab Stuffed Mushrooms to your “Appetizers” Pinterest board! Crab Stuffed Mushrooms are rich, cheesy, and insanely addictive. You'll want to eat the filling all by itself but it's even BETTER when it's hot and bubbly! Preheat oven to 350°F. Line a baking sheet with parchment paper or foil for easy cleanup. In a medium bowl, combine cream cheese, sour cream, garlic, and Italian seasoning. Taste and add salt and pepper if desired. Stir in crab meat, scallions, and mozzarella cheese. Divide filling evenly among mushroom caps. Place on the baking sheet 1 inc apart. Bake 20 to 30 minutes or until filling is hot and bubbly. I got this recipe from my friend Sandy. I like your narrative before the Ingedientshow. Try using spicy cheese once to add a lil.email snap. How many are in a serving? I am making these for a party. 40 people. How many times would I have to multiply this recipe by? Thanks! Hi Elena! That partly depends on what else you are serving to eat (is it just appetizers? Will there be dinner also?). Also, what size mushrooms did you find? I think people like Martha Stewart plan on 3 pieces per person, but I’d probably assume 4 pieces just to be safe (and obviously some people will eat more or fewer than that). Personally, for 40 people, I’d multiply the recipe by 5 or 6 (probably 6 so you can use all the cream cheese instead of having an extra half of a block lying around). 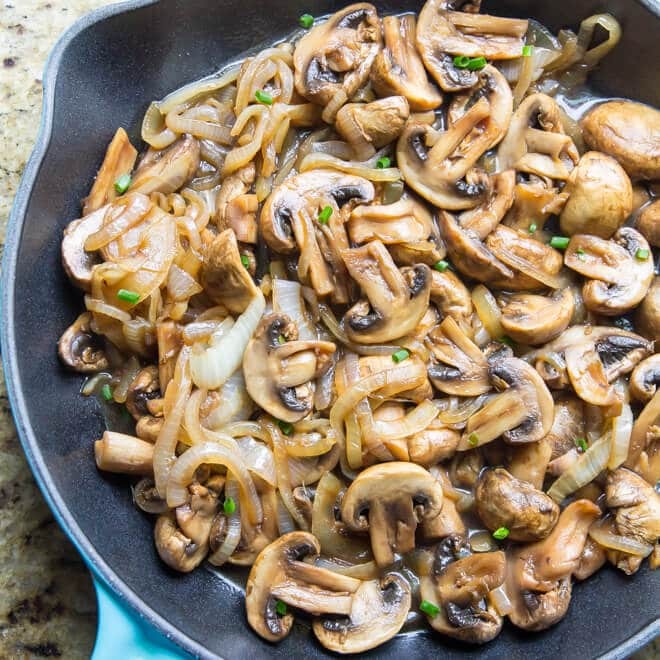 And if you want, maybe pick up just one extra pack of mushrooms for any extra filling. And feel free to substitute white mushrooms if you can’t find 6 packages of portobellos! They work too. Good luck and thank you! I doubled the ingredients and added half crab meat and half cooked tiger prawns, ( I live in Australia) I think you probably call them shrimp? A huge success, thank you for sharing your amazing recipe. Thank you so much Helen, yes we call them shrimp! Prawns = same thing. So grateful for your support! Can you make these ahead and freeze raw, and bake later? These look amazing! How do I wash the mushrooms and get the water out to stuff. Anytime I’ve ever made them in the past there is too much water that comes out to stuff the mushrooms. My husband and I whipped these up tonight and OMG they are so good ! We will be making them again and again and again !